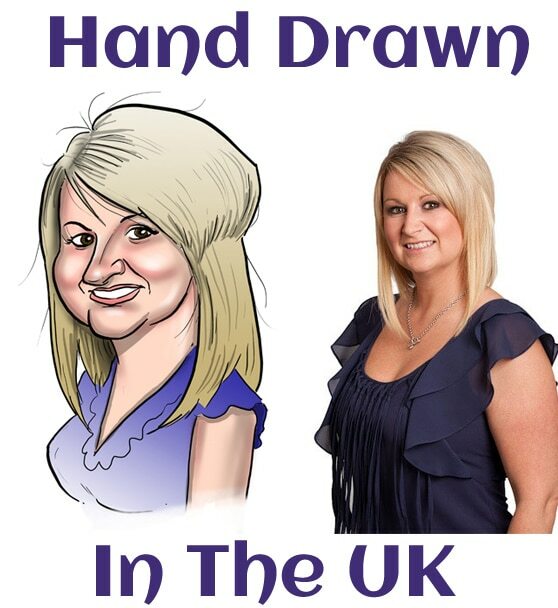 We are now taking orders for caricatures which are hand drawn from your photos. 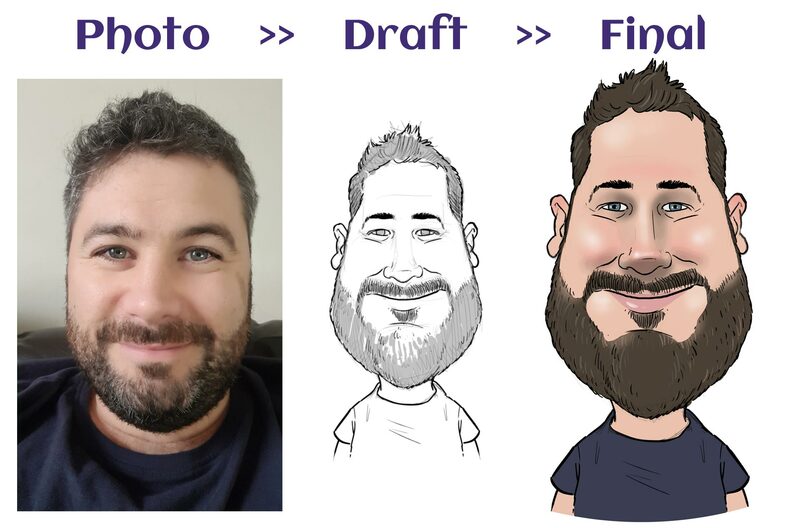 We use only the best, most talented UK artists for this style of digital caricature artwork as caricatures from photos drawn to individual requirements takes an enormous amount of skill and communication to get spot on. 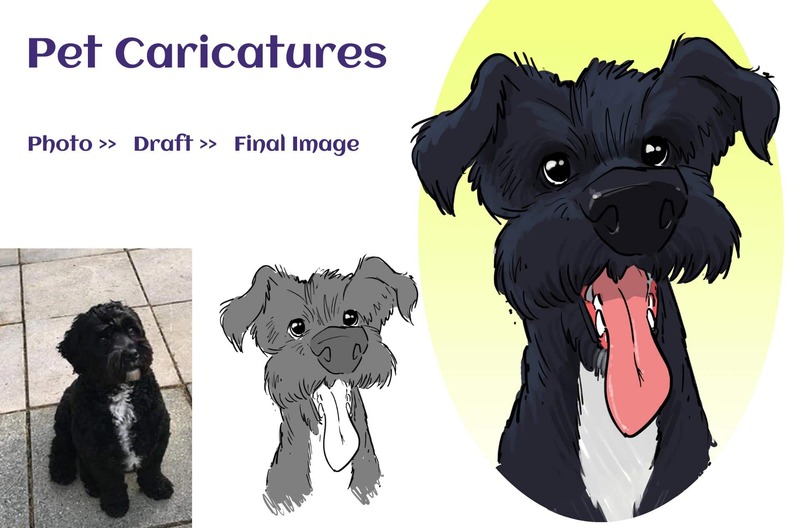 We always get a fantastic likeness of the person without being unkind or over exaggerated and the amount of extra detail included in each drawing is second to none – logos, pets, hobbies etc can all be included. 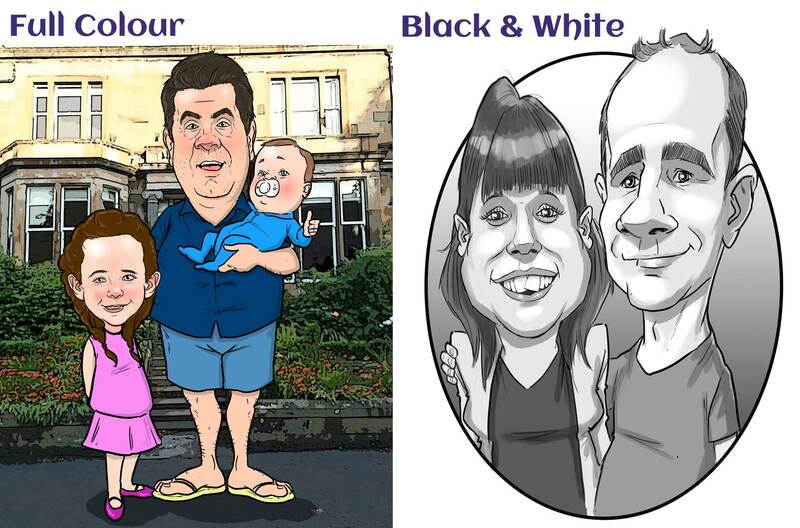 Caricatures from photos are drawn to your bespoke requirements in full colour (or black and white). Sizes available are A4, A3, A2 landscape or portrait orientation. Other sizes can be arranged upon request. 1. The first step is to complete the enquiry form to get a quote for your individual requirements and ideas. We will send over a quote for different options / prices along with some more examples too. We aim to reply to emails received in working hours from within just a few minutes to a couple of hours max. 2. 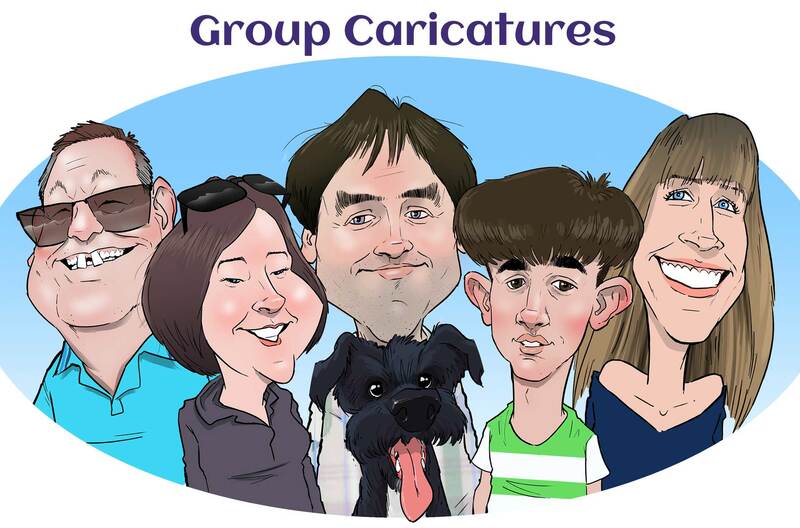 Once you have chosen your option and have decided to order your caricature, you will be directed to an online system (paper free) to order online. Confirming your order is quick and easy and payment can be made by PayPal, Credit / Debit card. Bacs payment can be accepted upon request. 3. 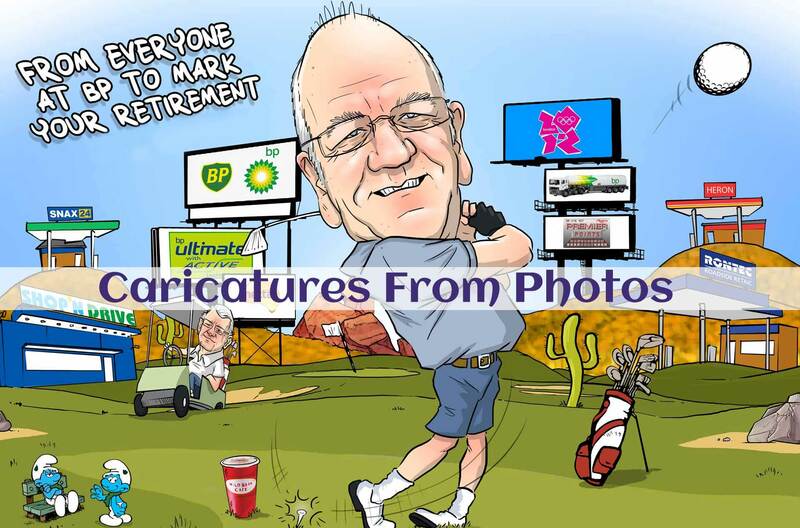 Then we’ll need your photos – these are emailed through to your personal advisor who will look after you and handle every element from start to completion. Photos should include 2 or 3 good quality shots of the person and also any photos required for reference such as logos, clothes props etc. 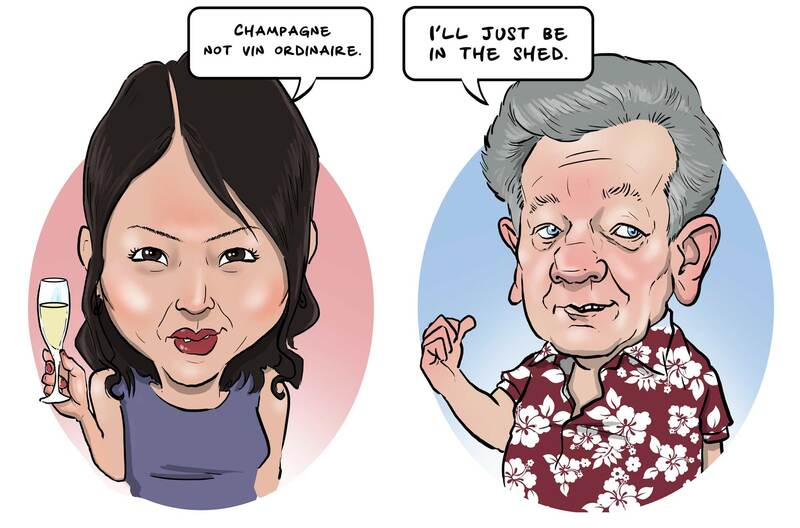 The better quality and clearer the photos – the better the caricature likeness will be. 4. 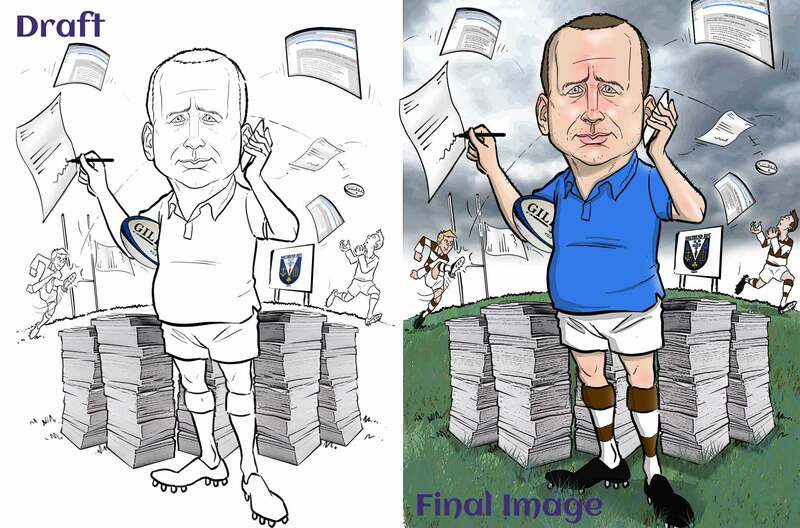 A draft line caricature is sent for your approval before the artwork is completed in colour and then the finished artwork is emailed as a High Resolution 300dpi (print quality) Jpeg for you to print out as many times as you like, on whatever medium you like – posters, canvass, mugs T-shirts, cakes and so on. 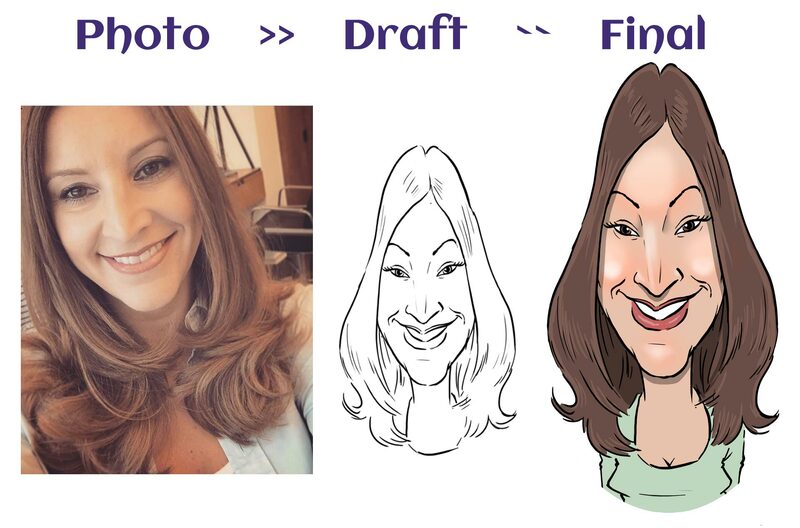 Of course, digital caricatures are perfect for sharing on Social Media such as Facebook, Twitter, Instagram and make unique fun profile pictures. 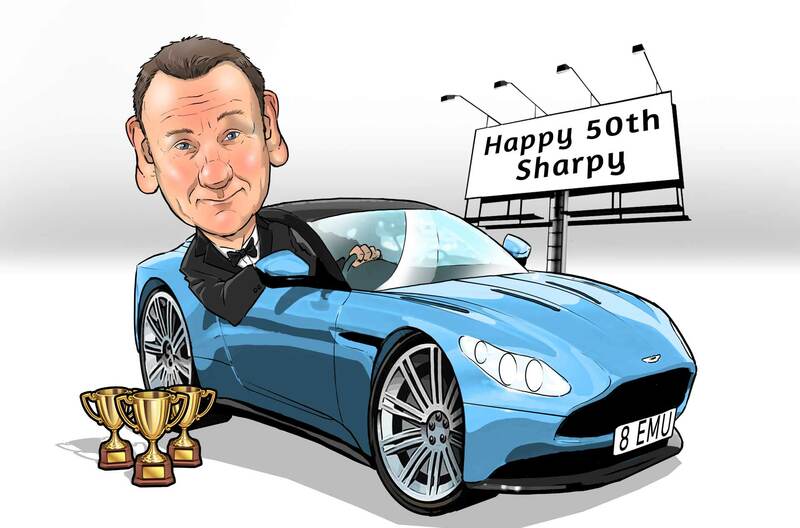 As our caricatures from pictures / photos are completed as high-res images, delivery is as quick as an email and we can cover all of the UK (and overseas) without extra cost. 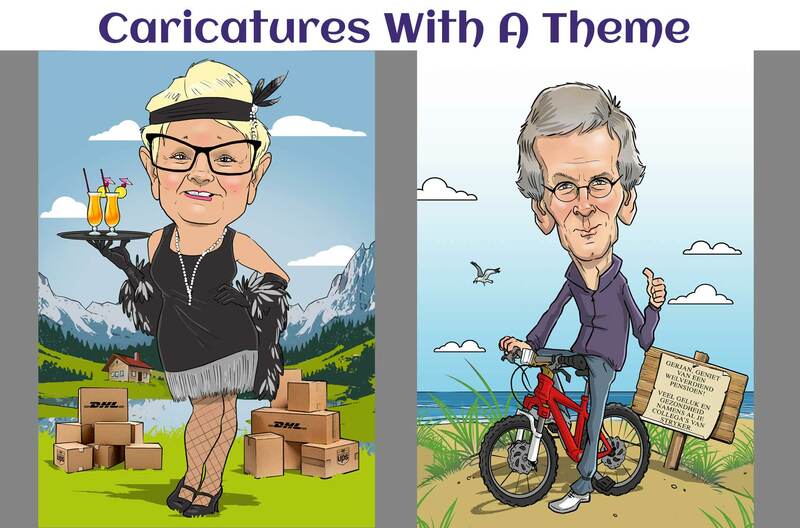 As well as Single / Individual Caricatures, we also provide Couple Caricatures and Group Caricatures and can include Backgrounds, Themes and Hobbies.